Imagine for a moment that you’ve set yourself a momentous quest. Like scaling the highest mountain in the world, trekking across the Antarctic on a dog sled, or venturing into the deepest darkest forest of the Amazon. In the same breath, consider something less physically formidable but perhaps no less challenging. Like undertaking a major project at work, starting a new job, or building a business. What would you need to do in order to reach your goals? Interestingly, there are many parallels between feats of sheer physical achievement and what we do for a living. Let us look at these factors. Contrary to popular belief, curiosity doesn’t kill the cat. Rather, it is a vital spark which triggers one’s momentum towards any journey in the first place. Without curiosity, the crew of Apollo 11 wouldn’t have landed on the Moon. Without curiosity, Jacques Cousteau wouldn’t have dived and explored the seven seas. Without curiosity, Per Lindstrand and Richard Branson wouldn’t have flown across the Atlantic in a hot air balloon. Similarly, curiosity is a vital ingredient to keep your work alive. Treat each new and challenging project as an exciting desktop adventure where you get to learn new things, work with new people, or venture to new ground. If you find that you no longer have a sense of wonderment doing what you do, it may be time for you to start pursuing your fortunes elsewhere. “By failing to prepare, you are preparing to fail,” says Benjamin Franklin. Indeed, the lack of preparation has resulted in Englishman Robert Scott losing out to Roald Amundsen in the race across the South Pole a century ago. Headstrong and stubborn, Scott failed to train his men for the arduous trip ahead, and ignored the need to get ready adequate provisions, warm weather clothing and other equipment for his venture. Back at our jobs, it is common for us to see how ill-prepared projects have gone the way of the Dodo despite starting out with the best intentions. While risk taking is certainly a necessity for greatness, winning a multi-million dollar contract often comes with months and years of intensive preparation and training. When push comes to shove, a great explorer must have the assurance that his team members has got his back, and vice versa. Nothing brings down a ship faster than a disgruntled crew who are demoralised, left to fend for themselves, or barked with unfair orders without their welfare at heart. Conversely, people need people to cheer each other on, take care of each other’s needs, and to get ready the multiple tasks needed to breach the finishing line. In the same vein, fostering strong esprit de corps, camaraderie, and team spirit is vital in today’s workplace. The only place for prima donnas is a ballet – even then, the lead roles are often rotated amongst both the more experienced and less experienced dancers! Scaling mountains, polar trekking, cross-country cycling, and deep water diving are all feats of physical and mental endurance. You need to have the right fortitude to sustain yourself through the rigours of gale-force winds, energy sapping heat, and other extreme conditions. While your nine-to-five job may not appear to be as physically taxing, being healthy makes a lot of difference in how well you perform your job. Relying too much on coffee, cigarettes or alcohol to get you through your days isn’t going to be very good for your health or your abilities to focus over the long run. Sometimes your answer to adversity may not even be verbal. You just grunt a response and continue plodding on, come hell or high water. 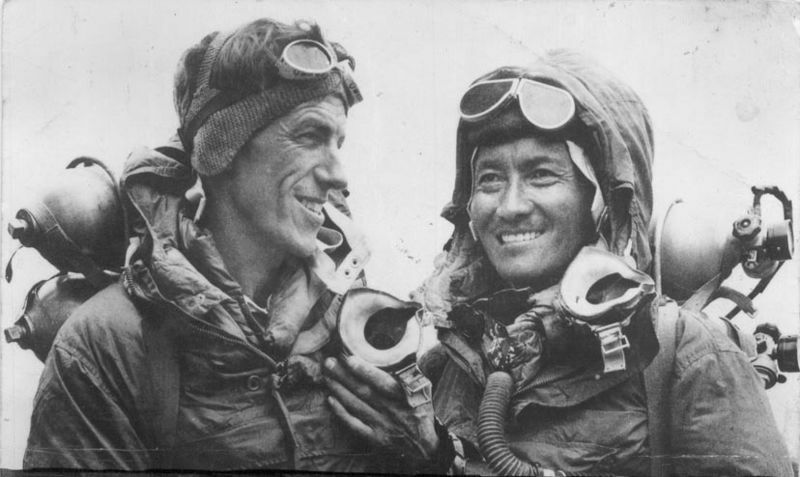 Indeed, possessing the right mental grit and stamina is vital in any expedition – be it at the top or bottom of the world, or in a “marathon” 4 hour meeting. To build up one’s resilience, it is useful to consider embarking on both physical and mental exercises. You could also enlist your friends or family to help you commit to a schedule. While you really shouldn’t be suffering for nothing, there is a time and place for pain before pleasure. Nothing escapes the eye of the leading explorer. He is mindful of the state of his equipment, the morale of every one of his team members, his own physical condition, as well as the readings on the multiple dials. As we’ve seen in the movie “Gravity”, knowing how much oxygen and fuel you have left can mean the difference between death and survival in outer space. You should also be similarly immersed in the details at the office, shop floor or factory line. Pore through the financial figures carefully. Analyse your output per hour. Study what your customers are truly telling you. While “analysis paralysis” shouldn’t be the default action, you should also not ignore what the signs are telling you. Finally, and perhaps most importantly in a mission, you should prepare adequately for contingencies. Ask all the “what if” questions that you need to ask. What if your rope ran out? What if your crew member falls horribly ill? What if a blizzard crosses your path? What if you encounter a wild animal? When you are off to an expedition in a land far from civilisation, anticipating the worst may be the best way forward in an adverse situation. Planning for the worst while hoping for the best also works in the harsh reality of today’s marketplace. Have you considered what you should do if your staff spilled coffee on a customer’s shirt? What if your team failed to meet your numbers for this quarter? Or if a new state-of-the-art equipment you ordered failed to meet your stringent quality standards? Considering the worst case scenarios may be an unpleasant exercise. However, it is a necessity in any endeavour, be it high on the mountains, deep in the oceans, or at the office. Are there other lessons we can learn from successful adventurers in work and in life? I’d love to read your ideas and thoughts. It was really a learning post. All the traits are very essential. Thanks Walter!